This is so good! 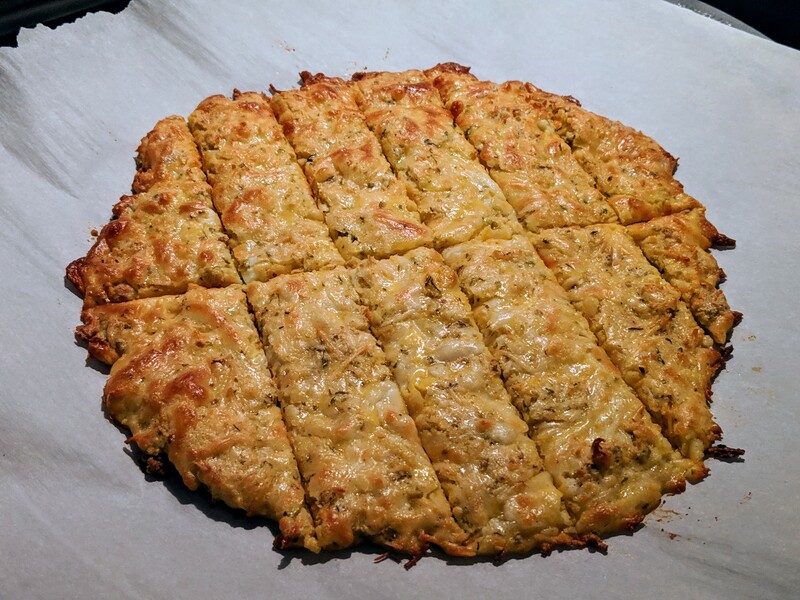 Think super cheesy bread, but without the carbs! This zero-carb bread is great with “pasta” or pizza and is super simple to make. A pan of this can feed 3-4 people. Pairs excellently with the Keto Baked Spaghetti or Keto Pizza recipes! Broil on high for 1-2 minutes to get a crisper top and brown edges.